When Sarah Damiano teaches kids about fractions, she starts with a quilt. She is the director of Portside Arts Center’s ArtsMobile program, which is introducing local schools to arts integration programming. Using the quilt and its patterns to explain how fractions work is one example of how the program can be applied. Arts integration programming is 50 percent art and 50 percent academics. 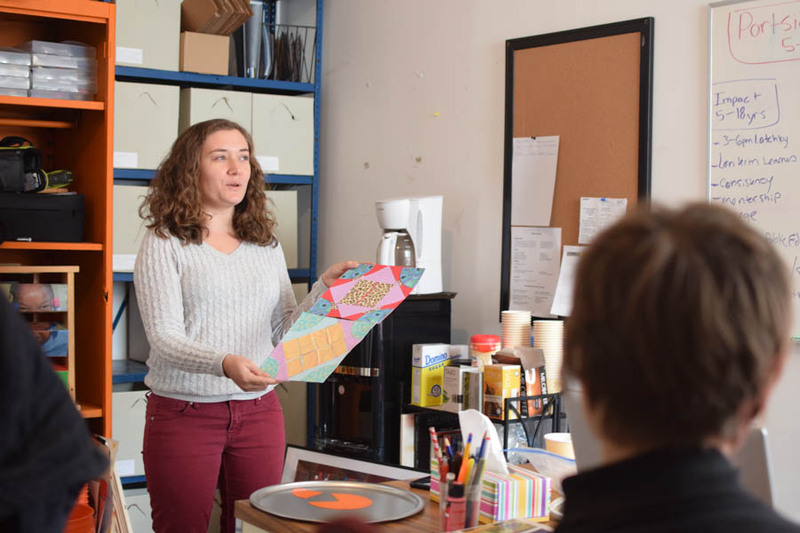 The program is meant to foster connections between art and academic subjects, Damiano said. The center held a one-month pilot program for arts integration last year. Staff members of Portside and assisting artists-in-residence are currently observing three classrooms in both Horatio Hackett Elementary School (2161 E. York Street) and Alexander Adaire Elementary School (1300 E. Palmer Street). On January 4th, they will officially begin teaching arts integration to students. The center also posts resources for arts integration activities on the program’s website that teachers can access for free to reinforce certain subjects if needed, Damiano said. The ArtsMobile program began in the form of a school bus with an underwater scene painted on its exterior that would pick kids up during school to be a mobile, visual arts classroom. The center hoped to accommodate for arts education in local schools. 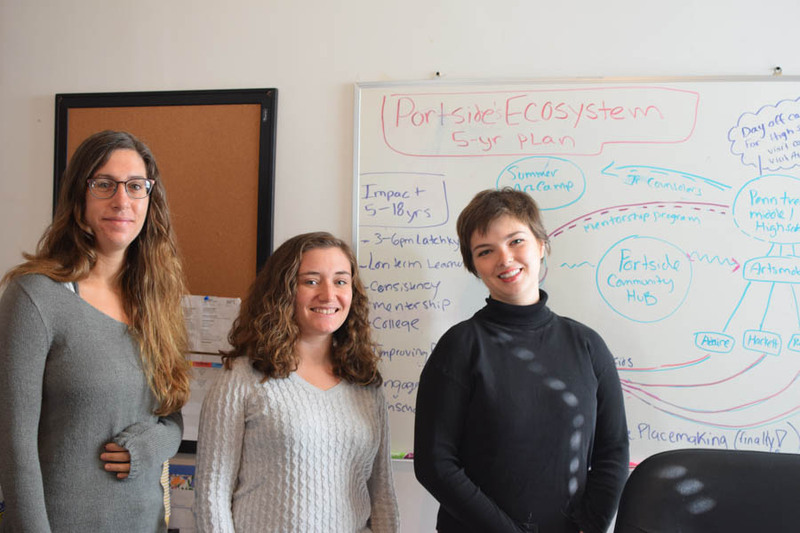 Portside switched the program’s focus to arts integration to encourage local schools to provide teachers and facilities in their own buildings, said Jenna Wilchinsky, the center’s program director. 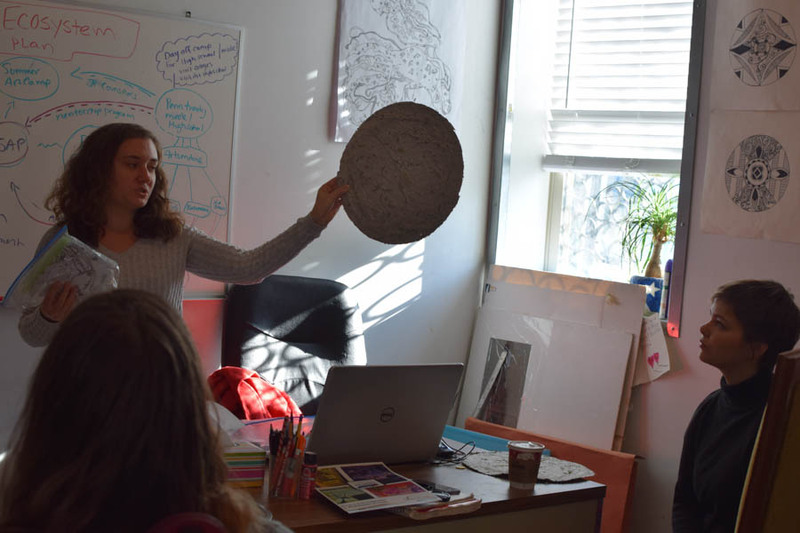 Damiano introduced the idea of arts integration to the center after hearing about it while she was a student at the Maryland Institute College of Art. The program is entirely funded by organizations like the Lindback Foundation, Penn Treaty Special Services District and the Spruce Foundation. It is also supported by several politicians, including Councilman David Oh and PA State Rep. John Taylor. Damiano said in the future they will work with teachers to write out a curriculum for implementation in the classroom. Shannon Brooks is an assistant artist-in-residence for the program who partners with the teacher to introduce students to arts integration. When she was growing up, Brooks said she never excelled at math or science, and she saw arts integration as a way to help students similar to her. Damiano said the center hopes to expand the program to two more classrooms each year, depending on funding. Teachers tell the center what subject they would like to implement arts integration for and they hold 45-minute sessions in the classroom once a week. Damiano hopes by implementing arts integration in the beginning of children’s education and developmental period, its effect will be long-term, she said.